Be the first to share your favorite memory, photo or story of J. B.. This memorial page is dedicated for family, friends and future generations to celebrate the life of their loved one. J. B. “Beady” Chandler passed away on March 18, 2019 at Southwest Christian Care, from complications following hip surgery. For the past four years, J.B. had resided at Friendship Place at Christian City, a facility for Alzheimer’s/Dementia residents. J.B. was born in Fayette County to the late J.H. and Beatrice Griffin Chandler on March 30, 1922. He was a World War II veteran, having served in the Pacific Theatre, including the occupation of Japan when the War ended. In addition to his parents, he is preceded in death by his first wife of 49 years, Charlotte Willoughby Chandler; his oldest brother, Marion Chandler, who was the first soldier from Fayette County to be killed in WW II; an older brother Gary, also a WW II veteran, and a younger sister, Josieleen. J.B. is survived by his wife of 19 years, Elizabeth Russell Chandler; youngest brother J.H. “Hewell” Chandler of Sharpsburg; daughter Dianne Grubbs and husband David of Palmetto; daughter Carol Chandler of Fayetteville; son Dennis Chandler of Fayetteville; step-daughter Theresa McDonald and husband Gerald of Union City; step-daughter Yvonne Ramsey of Jefferson; step-daughter Shelia Ramsey of Pensacola, Florida; step-son Phillip Ramsey and wife Mary Lou of Atlanta; and sister-in-law Janice Dabbs of Smithville, Mississippi. He was also blessed with numerous beloved grandchildren, great grandchildren, great-great grandchildren, nieces and nephews. J. B. spent his career as a skilled wood craftsman and specialty cabinetmaker. 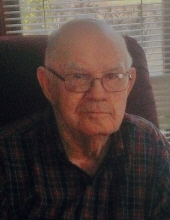 He worked most of his career at Greer Industries in Fayetteville and Robert K. Price Company in Peachtree City. He loved the outdoors, especially the mountains, and was known for the extraordinary garden he planted every year. After retirement, J. B. taught himself silversmithing and lapidary, which enabled him to make and sell handmade silver jewelry. He loved bluegrass music and traveling to music festivals around the South and other opportunities to enjoy music. Above all, he enjoyed spending time with his family, to which he was devoted. He and Elizabeth are members of the North Fayette United Methodist Church. A funeral service will be held Saturday, March 23, 2019 at 2:00 pm in the Chapel at Mowell Funeral Home in Fayetteville, with Rev. Jimmy Bowden officiating. Burial will follow at Westminster Memorial Gardens, Peachtree City. Family will receive friends from 12:00-2:00 PM prior to the service at the funeral home. The pallbearers for J. B.’s funeral are Jason Grubbs, Joseph Grubbs, Paul Grubbs, Gerald McDonald, Phillip Ramsey, and Reid Ramsey. The family humbly suggests that in lieu of flowers, donations to honor J. B.’s life be made to Southwest Christian Care, 7225 Lester Road, Union City GA 30291, or to www.swchristiancare.org/. To send flowers or a remembrance gift to the family of J. B. Chandler, please visit our Tribute Store. "Email Address" would like to share the life celebration of J. B. Chandler. Click on the "link" to go to share a favorite memory or leave a condolence message for the family.